The Sheriff's Office has 9 Deputies assigned to Uniform Patrol. Uniform Patrol is the backbone of any law enforcement agency. The goal of the uniform division is to address community problems and assure a safe community through directed and routine patrol. Being the largest and most visible police presence in our community, it is the Uniform Patrol Division’s job to provide primary law enforcement services to the public 24 hours each and every day of the year. They are the first to respond to calls for service throughout the county. 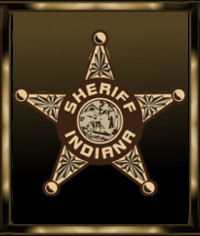 Every Deputy assigned to Uniform Patrol is a graduate of the Indiana Law Enforcement Academy. 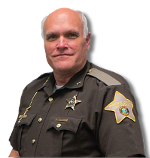 Providing quality and constant training is important to the Sheriff's Office. The better trained our Department is, the better service the community will receive. Each Deputy participates in yearly in-service training to keep current on the ever changing laws and practices associated with Law Enforcement. Deputies are also given the opportunity to attend classes and seminars relating to specialized areas. These Deputies then return to the Department and provide other Deputies with the knowledge they have learned during their class. Sergeant Tony Lennartz is the supervisor of Uniform Patrol.